I ‘Look Away’ then. With the video for that...we’ll talk about that for a bit. Did you...do you have much input into that? BW The only input we got to put into that one was just the straight performance part of it. I What about the idea behind the video? Do you have much input into that? BW Not usually. Usually the director or the script writer for the video will bring along a storyboard or a script. SA What usually happens is we send the song out to a few people. They send back a few storyboards. We all agree on the one we think makes us look the least like a bunch of prats. BW It’s not a strong point. SA Really, I don’t...I’m personally not particularly interested in video as a medium for rock music. I think it spoils a song in that it puts a fixed image of a certain song into people’s minds, when the ideas behind a song are much more spiritual and much more intangible than that. And in that respect, I really...I’m not interested in that at all. I can’t bear acting. I was definitely not cut out to be an actor. I find it very embarrassing, fatiguing and just...I get terribly embarrassed a bit doing it. Pretend to be something that I’m not. I It doesn’t upset you that somebody else puts a visual interpretation on your particular song? SA Not if it’s a visual interpretation that I see as some vague relation to things that are going on in the song. I think that if somebody started turning up with teams of leggy blondes and hot rods we’d have something to say about it. Not that there is anything wrong with leggy blondes and hot rods. It’s not one of my favourite song subjects. BW As long as the leggy blondes are women. I ‘The Teacher’. That track on the album. Why did you write that? SA I don’t know. Asking somebody why they write something is like...or asking a writer why they write something...it’s a bit like asking them why they go to the toilet or why they eat food, you know. It’s just that writing has become part of me. I Do you have to write every day? SA Sometimes, yeah. If I’m in that frame of mind. I do, sometimes not. I prefer to do it from inspiration rather than sit down and slug my guts out and do it. I Was it written for anyone? SA Not in particular, no. As I said, it was based just on a mood sort of thing that seemed to tie in quite well with the underlying feeling of learning from my past and a certain quest for knowledge and finding out and understanding. I On ‘I Walk The Hill’ then, that’s written by three of you, I think. It seems as if the album is more of a group effort in terms of writing than before. Would you say that’s a fair comment or not? SA I think everything we do is a group effort. Even though I may actually scribe the lyrics, they come very much from the attitude and the conversations I had with the group at that time. I tend to take my inspiration for writing off the atmosphere that is in the group at any set time, and I usually...it’s formed through a period of three or four months before we actually record, the things that go down in conversation and the way we feel about certain things at certain times. So, I think the group...as everything. I So, who cracks the whip when it comes time to get down to hard work? Is it you, Stuart? SA I think...sort of...I’m pretty sure it’s on me a wee bit because...basically with me doing the words, I have a vague idea of how the arrangement of the song should go. But, apart from that everybody pretty much contributes their own parts and we work it out between us...what should happen where and how the melodies and harmonies and stuff should work. BW See for me personally, it’s like when we’re working on a song, I always see the song as a sort of instrumental for a little while, before like what’s Stuart’s actually gotten into doing the lyrics, the real arrangement for the song. So, I’ve got to watch what’s going into the guitar parts to start off with. I usually look to have ’em pretty vague and just so...until I actually get into the studio to do them...until I find out a little bit more about the song. I Why did you use Robin Millar instead of using Steve Lillywhite again? BW Steve was doing the Rolling Stones. I But, he would’ve...he was your first choice to do it again? SA I don’t really think it’s terribly important who it is that produces a Big Country Album. I think if they have a reasonable say...If he is, he can keep a good atmosphere going into the studio, then we’ve cracked it. Because we certainly don’t need anyone coming in saying, “I’m going to give you a sound.”, because we have that already. 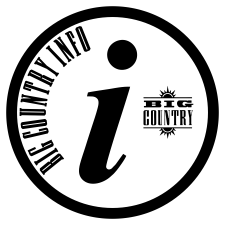 No matter what we do, it’s always really identifiable as being Big Country. So, in that respect, the producer isn’t the most important thing to us. But that said, I think Robin was very good for the band. And as that, he brought out the space and melody and things and was the direction we wanted to go in now. We felt we wanted to be a bit more real(???) with this album and have a bit more room in it. It was very good, too. I enjoyed working with him and actually it’s a great work. I The song, ‘One Great Thing’ sounds pretty optimistic. Are you sort of optimistic people most of the time? BW Usually, I am. I am quite optimistic. SA Well, I’m everything and nothing at the same time. I tend to fluctuate a bit actually. I go from being really up to being really pissed off. But even in the course of the same day. The best thing for me is that I feel incredibly lucky that I have been given a chance to express myself through music and I’m able to make it my career. I mean I would do it even though I was working at a day job. I would do it for nothing. But it’s nice to be able to do it as my job or work as well as something that I treat with great respect. I Okay. ‘Remembrance Day”. Why Remembrance Day as a starting point for a song? SA I think because it’s quite a potent image of learning from things gone past. As I said, that is the underlying feel to the whole thing; and the key that the album revolves around. And as such, it was a very potent phrase to use in the song and obviously the whole song just turns around a few words...and...I don’t know. I don’t really like pinning myself down too much about certain songs until, maybe, this time in two year’s time. Then, I’ll tell you exactly what it is. But, it revolves around the old peace stuff. I So, do you have to live with an album for quite a while before you fully understand it yourselves? SA I think with this album, I will. I think ‘Steeltown’ was fairly black and white and presented all of itself in an up front manner. Whereas, this album...things are tucked away in little corners and stuff. I I don’t think it is a particularly safe album for Big Country. I Exactly. That’s what I meant. SA ‘In A Big Country’ part two(???) or something like that. You know things change. Peoples change. Haircuts change. SA Obviously music changes as you go through life. Especially with us just letting it happen naturally and not setting down preconceived or pre-planning what is about to go on record. And in that respect, I’d say what we do will be a fair representation of what we are at any certain time. SA I’ve never really felt very daunted by the place because I’m always aware of the fact that no matter where you take your songs to in the world, people are getting your records and looking at lyrics and stuff, there’s gonna be certain things they will identify within the songs. I tended to find that audiences, no matter where we play, seem to react in the same sort of manner no matter where we are and that it does feel more than just an evening’s worth of entertainment. And I think there is a bonding there and as much as we put quite a bit of our own selves into the songs and obviously for people to have been interested in the band and listened to the songs, they must have understood or been touched by a certain amount of the sentiment that goes into the songs. And so, obviously, there is a bond there between us and people. There’s a lot of people in Europe really interested in the band and don’t actually own any records. I think that no matter where you go in the world, you can still make it a very special occasion. I Is there anywhere that you’d particularly like to go? SA I’d like to play behind the iron curtain, actually. I think I’d like to do that. I Getting back to the album then. 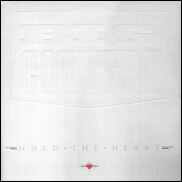 ‘The Red Fox’...Isn’t the lyrics to that seems to be almost about an underground resistance fighter. SA That’s...what it is says, actually, is that armed struggle is right if frustration is great enough. That’s what it says, basically. I Do you think it will ever come to that in Britain? SA I don’t know. I don’t actually see myself as being any great political forecaster or economist or sociologist or anything like that. I’m just a singer. I think in specific circumstances it can be the right thing to be doing and is the only option left open to a lot of people. I think particularly in somewheres like South Africa, all the options are being closed down one by one. And it’s gonna end up in violence and it shouldn’t have to. SA It’s a good phrase, ya know. I think I stole it from somewhere, actually. But, I cannae quite make where. Sometimes, I do things like that actually, is just mess around with phrases that can turn heads. I think...I like to do that just when the actual words play itself is more than any great thought that went behind it. Sometimes, if I’m on a runner, just sort of jot down everything that comes in and then edit it down a bit. I’m sure you know what it’s like if you start gettin’ into a big flow...stuff all coming in at once you tend to just rattle it down and then edit it back afterwards. I’m not sure of the specific idea of where it came from, but I like the sort of grittiness of the phrase and decided to keep it. I When punk first started happening, how did that affect you? BW It was great for me because, well, at that time, I was trying to learn a bit of guitar and things like that, and then punk came along and you didn’t have to be like a technical wizard type playing, getting up on the stage. I mean it was...for me, I mean, I was a complete amateur. I mean, I still am. At that time, I mean, I could rock on stage, play my guitar and the band type thing, you know. I didn’t know what I was gonna do with it like, bum notes and guitar being out of tune, things like that. It was a great atmosphere at the time because it was bands, like other bands still under, were coming up, sort of punk bands and they were coming up around there around Dunfermline and that you would go and see some really good bands and at the same time, there’s lots of bands in Scotland forming as well and new bands and it was good because you could actually meet the bands and things like that, afterwards. BW ...And pet them...and feed them. Instead the big bands at the time, whether it was Genesis and that kind of stuff, they were like, sort of, not was ever interested in that. They were sort of untouchable and very sort of like...big time thing. I When you first started Big Country, you said that you wanted to establish some kind of communication with your audience. Now you’ve achieved that to a certain level, I think. How are you going to maintain that level or increase the level? SA I think all we can do to maintain or increase it is just carry on in the way we have done in the past and by writing songs that we care a lot about and that we do put a lot of ourselves into it and just by being all around cool dudes. It’s just what we are. I don’t know. You don’t start into it thinking, “My God. How am I I going to maintain my level of communication with my audience”, because I don’t think a bit like that. It’s a real pretentious way to think about it. I just kept it...put my ideas and feelings into the songs and hope that people can identify with them and share those feelings when we actually go and do them live. I think, especially, a lot of the older songs have moved out of the territory of us just playing them They’ve become...belong to the people who have bought the records and enjoyed the songs and identified with the songs and have obviously touched a part of their life. And that is very gratifying. I must admit it. It’s very satisfying.